If it’s been going on for a while, those property owners may be getting way beyond weary of seeing their cash flowing out rather than in – they may even be beginning to feel panicked. In fact, they may be wishing someone (like you) would come along and take that house off their hands. But… perhaps someone told them that they can’t sell their house until they get it in show-ready condition, and they aren’t in a position to do that. They may feel like they’re stuck between a rock and a hard place. So why not use these letters and offer to solve their problem? Unless there are more properties than renters in your area, the fact that they can’t find a tenant probably means there’s some kind of problem. It could need paint, new flooring, or new appliances. Or perhaps they haven’t taken time to do some necessary cleaning, so are trying to rent it looking grubby. But if owning rentals or doing fix and flip is your business, you probably have the resources and know-how to overcome those problems. The long vacancy could just mean that they’re doing their own rental management while holding down another job, so haven’t been available to show the property when tenants want to see it. You probably have a better system for connecting with would-be tenants. The vacant home owner letters are focused on homes that are vacant, but not necessarily rental properties. It does include one letter that is common to this set. However, the rest are in reference to houses that are vacant for other reasons. The absentee landlord letters are for out of area landlords who own occupied rental properties. 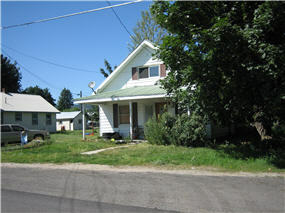 This set is focused only on rental properties that are vacant and have been vacant for some time. No matter why they’re vacant, unoccupied rental properties are a drain on their owners. They may not have a mortgage, but they still have taxes, insurance, and maintenance costs. That means they may be happy to entertain an offer from you. Make a list of properties for rent today, then go back in a week and see which ones are still offered. These could be prime purchase leads, so get the letter set and start mailing!